The longest day has come and gone. Father's Day has been celebrated and the strawberries are ripening in the garden. It can only mean one thing and that's summer and all its glorious madness is here. 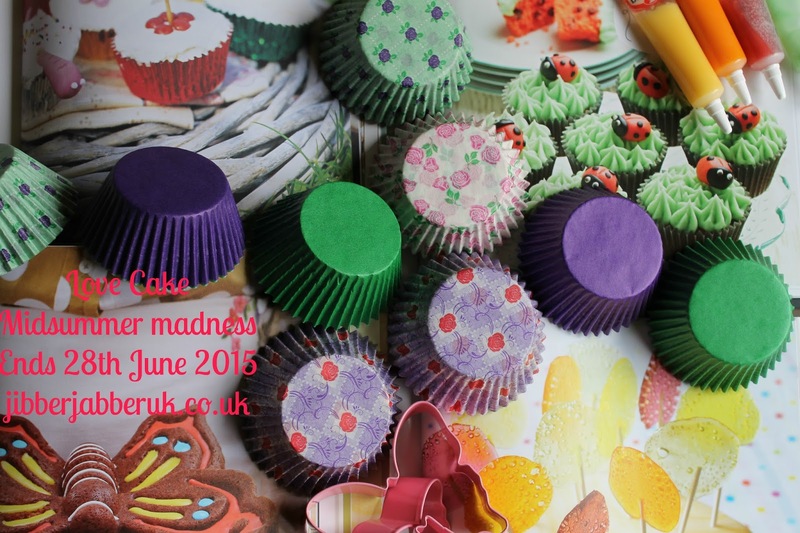 So let's have a look at what everyone has been baking this month. It's straight up to Scotland this month and to Janice at Farmersgirl Kitchen. 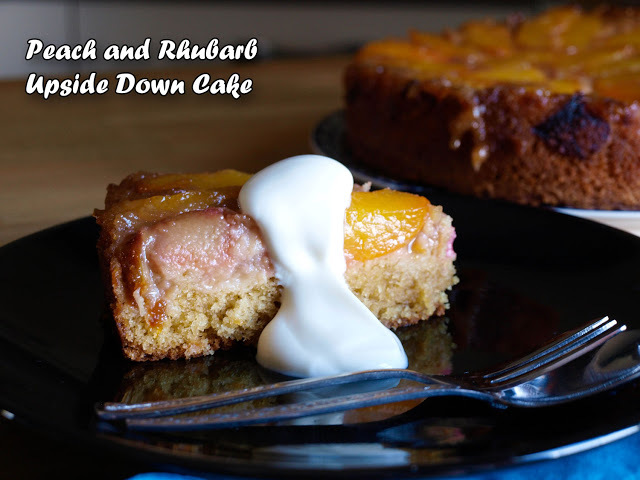 She has been making the most the one of the first pickings from the garden to make a Peach and rhubarb upside down cake. With added sweetness from ripe peaches this makes the perfect summer dessert. 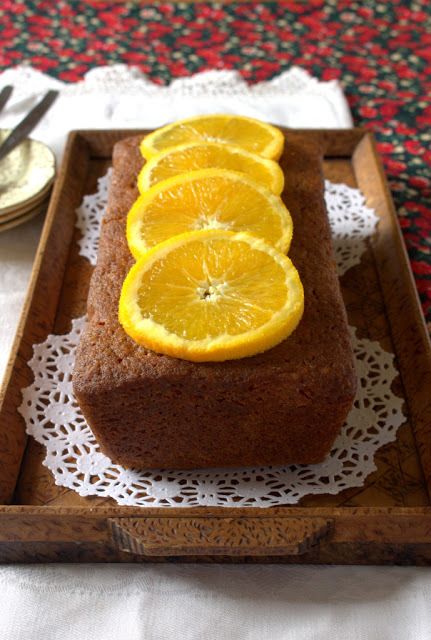 A splash of orange in a cake and some bright orange slices on top make for a lazy summer afternoon tea delight. Laura from I'd Much Rather Bake Than... has put together a fruit and nut combination to come up with Orange Hazelnut loaf cake. Grab a cup of tea and have a slice...and then another! A summer birthday celebration for Caroline of Caroline Makes... meant of course cake! 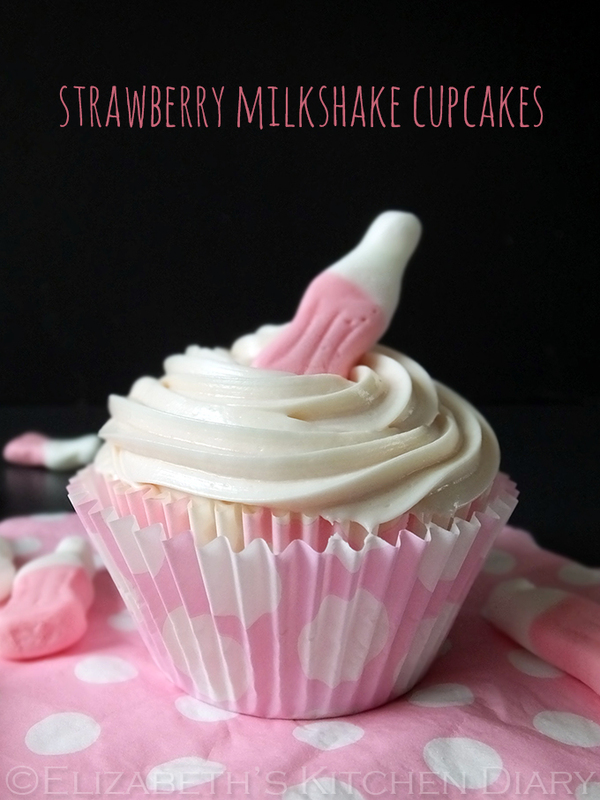 For a touch of fizz she came up with Pink Lemonade Cupcakes. With pink lemonade in the actual cupcakes they are finished off with a swirl of buttercream flavoured with pink lemonade icing sugar. 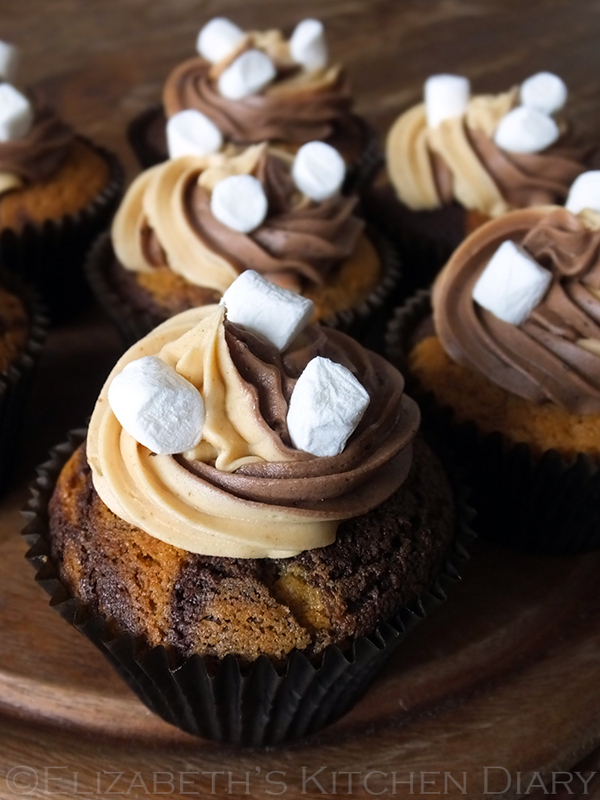 Have you ever had a s'more at the end of a barbecue or around a camp fire? How could these be improved? Turn them into cupcakes of course! Elizabeth way up in her Shetland kitchen has gone back to her Canadian roots to reinvent this North American classic and turn them into S'mores cupcakes. What's at the end of the rainbow? Do you think it is a pot of gold or some Heavenly Rainbow Cupcakes? 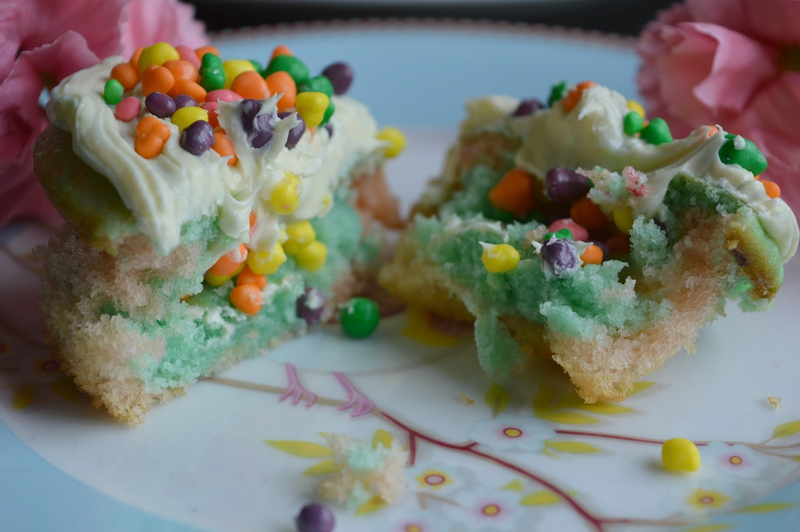 Fiona of Fawns and Fables has making coloured cupcakes with a sprinkling of Rainbow Nerds on top for that special sour taste. 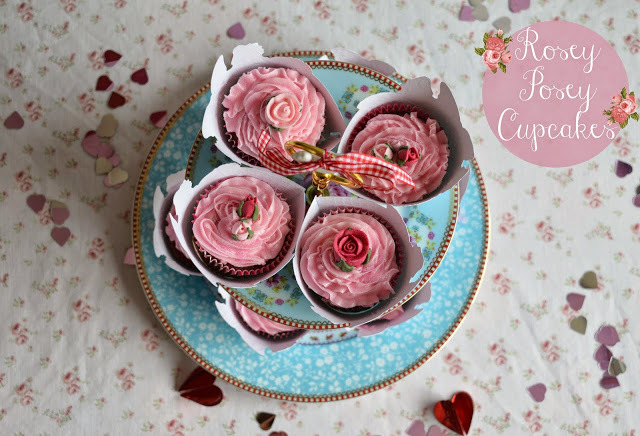 If rainbow cakes wasn't weren't for you how about going for the elegant touch with Fiona's Rosey Posey Cupcakes? Rose flavoured cupcakes all topped off with pink icing and a dusting of glitter. The nightmare of the broken freezer struck at the home of Kate a.k.a The Gluten Free Alchemist. 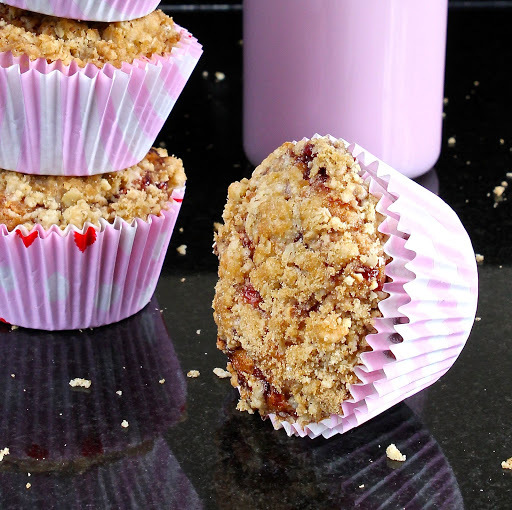 In bid to save what she could some of the contents was transformed into a traybake and the rest into Strawberry Crumble Muffins (gluten free/dairy free). 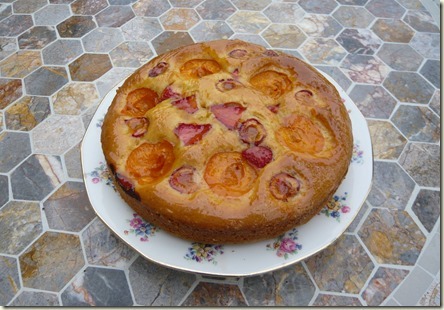 If you've got a glut of summer fruit the best thing to do with it is obviously bake it in a cake. Whatever you have to use up Jean from Baking in Franglais is at hand to help out. She terms it Apricot, orange and ginger cake (with a few strawberries and cherries for good measure) but there's also a rhubarb variant thrown in as a bonus. Just don't use the supermarket plums which are as hard as cricket balls! The award for this month's smartest cake goes to...Caroline's Father's Day Shirt and Tie Cake! This is a great cake design that Caroline has been learning at evening class. It could be adapted for birthdays, leaving dos, retirement parties or the start of a new job. Hiding underneath is shop bought Madeira cakes sandwiched together. The strawberries are ripening now but what do you do with those red berries that are just past their best? Down in Cornwall Choclette of Tin and Thyme has come up with a perfect solution with her Roasted Strawberry Chocolate Cupcakes. 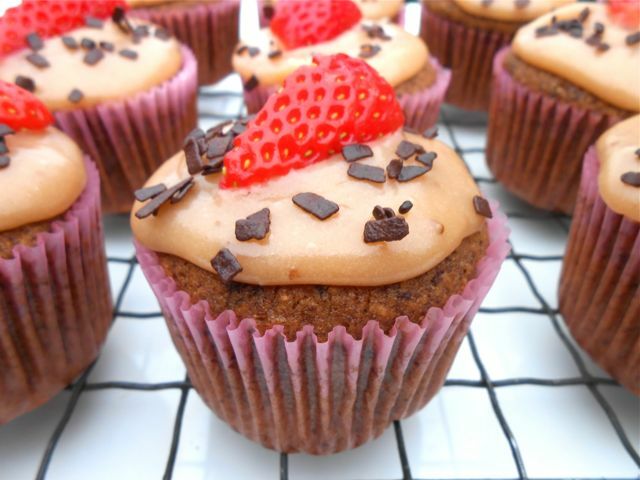 The strawberries are roasted in cider vinegar and then added to the cupcake mixture. Hands up everyone who has ever wanted their own ice cream van – Caroline has shown it's possible and in a much smaller scale for her Strawberry Ice Cream Cupcakes in an Ice Cream Van. So when the sun does shine fear not for melting ice cream and tuck into your cupcakes instead. Sometimes a classic recipe is called for and when it's your birthday your favourite cake is a must. Angela at Garden Tea Cakes and Me sent instructions to her sisters for the perfect cherry cake recipe. With juicy cherries throughout it is also topped with cherries and lemon icing. Back up in Shetland with Elizabeth and there is a vicious rumour that summer is going to finally arrive in the Islands this week. With sweet treats galore arriving for testing purposes it was definitely time to make some Strawberry Milkshake Cupcakes. We can't get enough strawberries at the moment so for Sunday teatime I left no strawberry unused in my Triple layer Victoria sponge strawberry and cream cake. To add some extra interest to the layer I added food colouring for an ombre effect. Thank you to everyone who bought some sunshine with their cakes to this month's Love Cake. I'll let you digest these lovely creations before coming back with July's edition. That's a good batch of cakes! Should we all get together and open a cake shop? Lovely round up Ness..... Thanks for hosting!